The Bank of France may raise capital buffers to dampen loan expansion. That is justified given credit is growing much faster than the economy is expanding. But combined with pitiful lending margins, the move would add to the profitability problem which is plaguing Gallic banks. European Central Bank policymaker Francois Villeroy de Galhau, who is also governor of the French central bank, attends the Paris Europlace International Financial Forum in Tokyo, Japan, November 19, 2018. France's financial stability council is looking at whether banks should set aside more capital because credit growth may be too high, Bank of France Governor Francois Villeroy de Galhau told French radio show BFM Business on March 8. 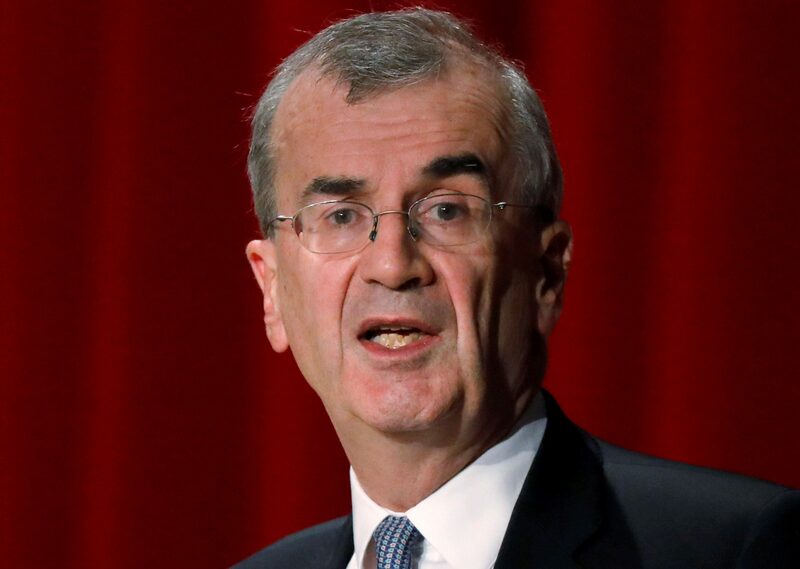 The council, which includes Villeroy, imposed a so-called counter-cyclical buffer of 0.25 percent on banks' risk-weighted assets last June. "We already used once the countercyclical buffer in June last year, we are looking seriously whether it shouldn't be raised," Villeroy said.